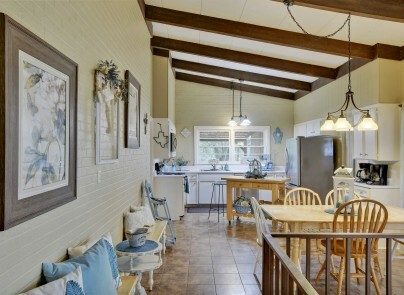 Texas Hill Country Vacation Rentals. Enter the gate of M&M Creekside, and leave a crowded world behind. 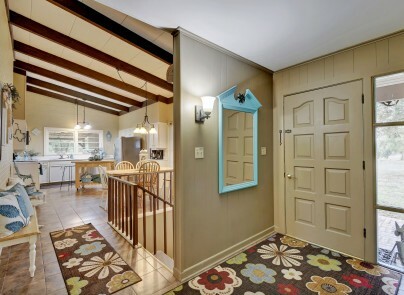 One of two family gathering areas in the home (additional gameroom on pool level below). Downstairs gameroom leading out to pool. A lazy afternoon under one of our majestic oaks. Click the Calendar to select your check-in and check-out dates, or use the menus to select date(s) not shown. We do NOT collect a security deposit. Parties up to 18 can be accommodated (See T's&C's). 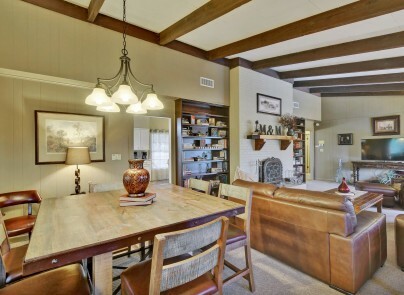 M&M Hill Country Creekside is a unique and captivating retreat among texas hill country vacation rentals. We like to call it 'paradise in a 20 acre hill-country bottle.' 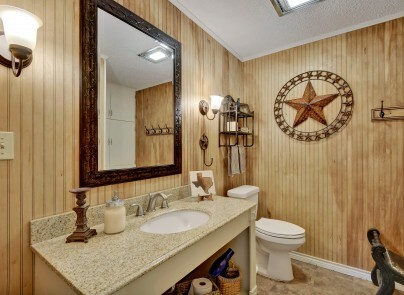 And if gas prices or the shaky economy requires you to stretch your vacation dollar, you won't find a better value among texas hill country vacation rentals. 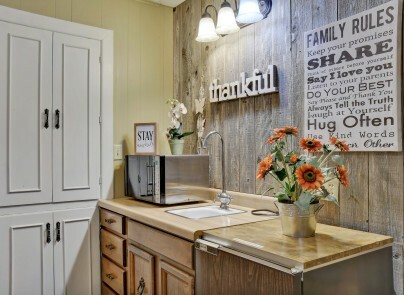 What do our guests enjoy most about their time at M&M Creekside? Two hill country wineries within 5 miles of our front door; two more wineries within 30 miles. Inks Lake and Colorado Bend State Parks within and hour's drive. 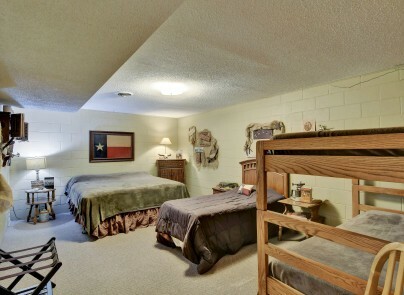 Creating hill country memories that last for generations. Entering the south gate of M&M Creekside is the start of your leaving a crowded world behind. Cedar-lined hillsides descend to open pasture lands sprinkled with mature oaks and several other species of native trees growing along the over 1600 ft. of vibrant, spring-fed Sulfur Creek. 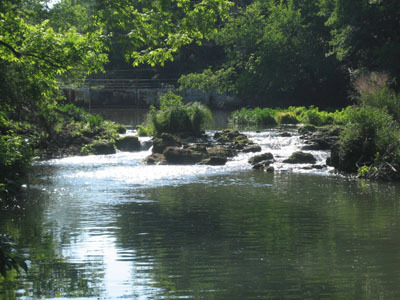 This creek is the source of our guests' inspiration and rejuvenation, which is no surprise given the fact that Lampasas was settled in the mid-1800's for the curative power of its springs. Our creek runs year-round and features waterfalls (depending on amount of rainfall) and several deep pools - perfect for swimming, tubing, fishing, skipping rocks, or just sitting under a tree and watching a Fall leaf make its lazy way down river. 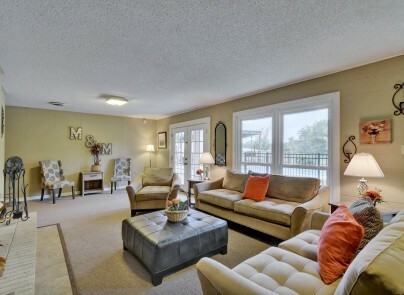 A spacious 3500+ square foot home features 5 bedrooms and 3.5 baths on two stories. Four of the five bedrooms offer private french-door access to the rear patio and deck that overlook the private pool and creek below. 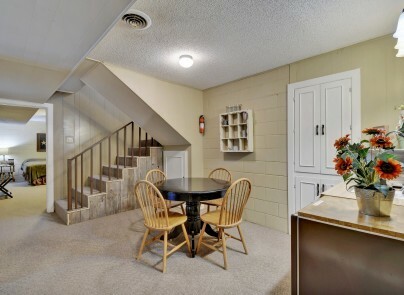 Elderly guests who have difficulty with stairs need not worry, as the two stories operate as a 1st floor main level with kitchen, family room, and two bedrooms, with a stairway leading downward to a basement level with three additional bedrooms and gameroom. The open kitchen includes a big breakfast area and beamed ceiling. The main floor living features a fireplace and wraparound deck looking directly onto the creek and across the property's pasture lands. 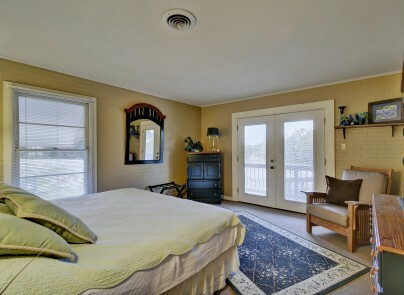 The master bedroom includes an entrance to the deck and its own private full bath. 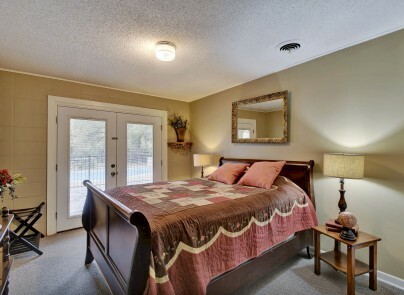 A 2nd bedroom on the main floor also has access to a 2nd full bath. 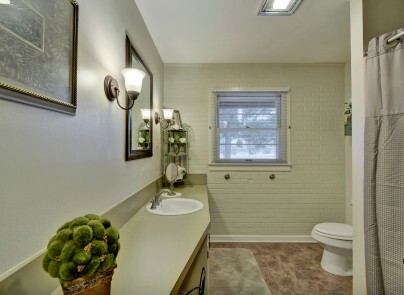 The main level also features a large utility room with washer/dryer and half bath. The basement floor includes a large gameroom with a 2nd fireplace, 3 large bedrooms, a full bath, and a full wet bar and microwave. 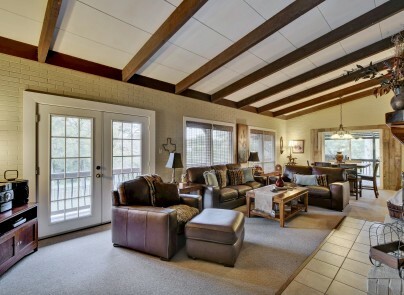 The gameroom has french doors leading to a stone patio with BBQ area and a beautiful pool overlooking Sulfur Creek. 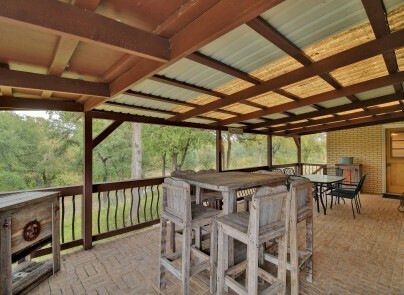 The entire property is gated and fully fenced, lending to the privacy that hill country vacationers prefer. 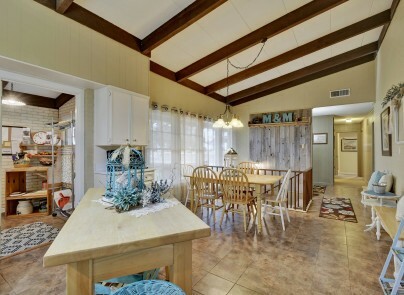 Located in Lampasas, TX, this Texas Hill Country Vacation Rental is about 45 miles northwest of Austin, 170 miles south of Dallas, and 115 miles north of San Antonio. 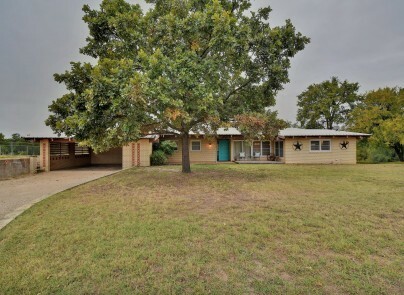 While secluded on County Road 3010, our creekside ranch is only minutes from Highways 190, 183, and 281 and only 2 miles away from a full service Walmart w/ grocery. 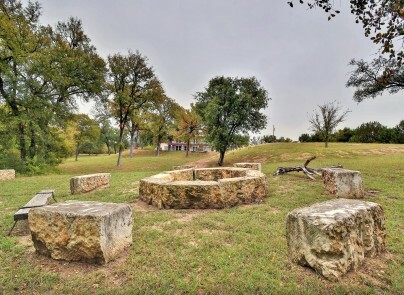 The tourist-friendly town square of Lampasas is easily walkable, sprinkled with local shops and the kind of country cookin' restaurants that have faithfully served the town's lifelong residents. 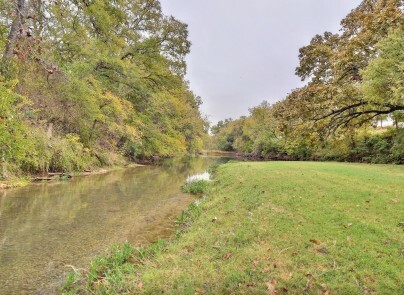 Hancock Park Golf Course offers 18 holes of scenic fairways and greens that interplay with the hills and creek on which Lampasas was founded. Lampasas also features two local wineries you may be interested in touring: Pillar Bluff (www.pillarbluff.com) and Texas Legato (www.texaslegato.com). Bring a bottle back from one of these local vineyards and enjoy a glass of wine from our balcony as the sun sets on our hill country horizon. It doesn’t take long to access many of the hill country’s outdoor and entertainment assets from M&M Creekside’s central location. An hour's drive west takes you to Colorado Bend State Park. Lake Buchanan is also a similarly short drive to the southwest, and Inks Lake State Park is only 40 minutes from your front door. More golf options await in nearby Copperas Cove (Copperas Cove Golf Course) and Burnet (Delaware Springs Golf Course). Then there is Austin. 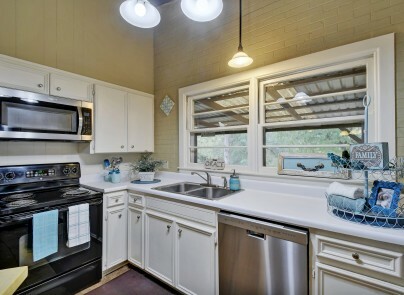 Depart M&M Creekside in the late afternoon and you'll arrive in central Austin in just over an hour, ready to savor the dining and music delights of 6th Street, or to join 98,000 of your closest friends at a primetime Texas Longhorns football game. Note: We will consider parties in excess of 15 occupants on a case by case basis. Please call to arrange details and special terms/rates. 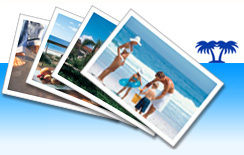 The information contained within this website is continuously updated for accuracy, however, no guarantees are given.